I read this article and found it very interesting, thought it might be something for you. 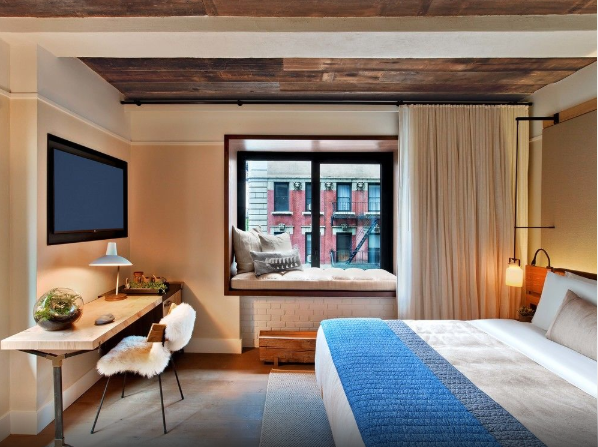 The article is called New York’s top 10 eco-friendly hotels and is located at https://www.ebookers.com/travel-blog/city/new-yorks-top-10-eco-friendly-hotels/. 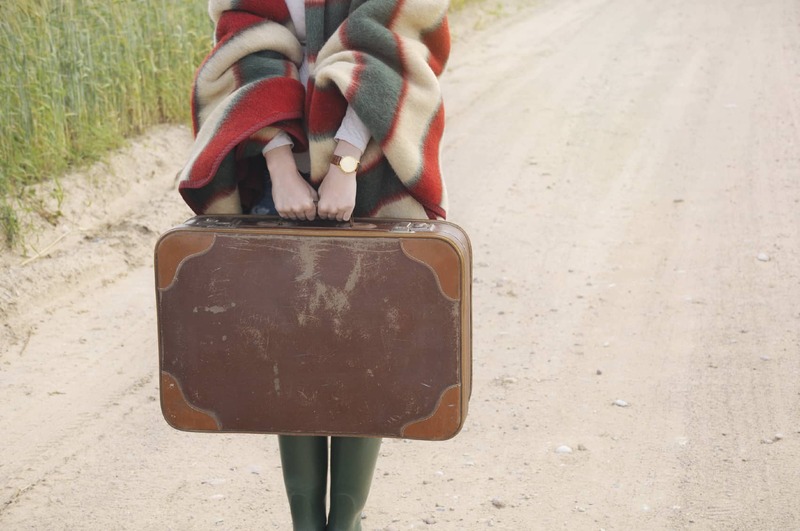 New York is not only a trend setter for culture, fashion and food but also eco-consciousness. From sleek and glittering Manhattan hotels to trendy Brooklyn stays, here are New York’s top-10 eco-friendly hotels. 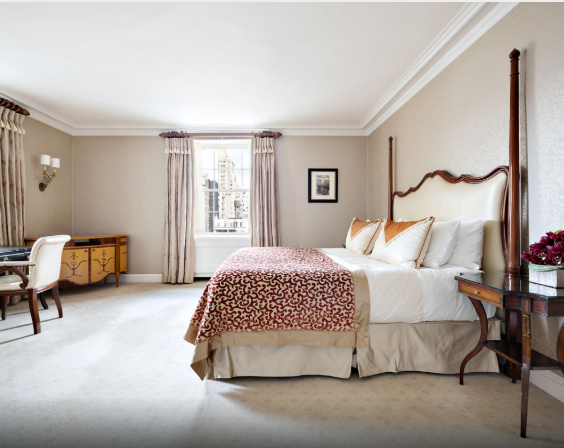 Located in an iconic sky scraper, The Benjamin has welcomed guests since the roaring 1920s. The Benjamin was one of New York’s first eco-friendly hotels and features energy-efficient lighting and recycling program. The Benjamin is also concerned about its guests well-being, and offers on-demand meditation and in-room spa treatments. Built with recycled materials, the eco and budget friendly Element uses glassware instead of plastic, has water-efficient faucets and green cleaning products. The hotel’s rooftop terrace sits in the middle of Manhattan’s iconic sky scrapers making this a true eco chic find. Location, location, location! 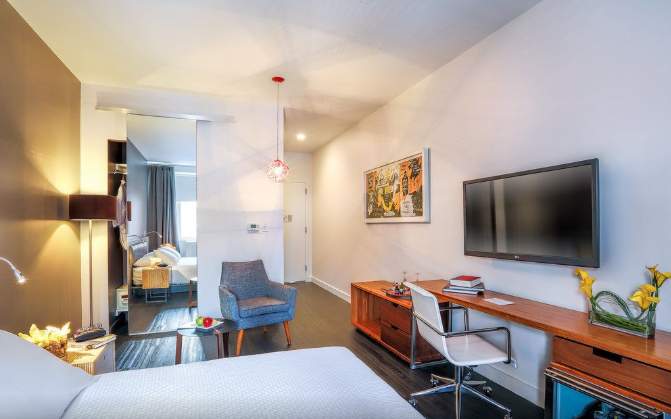 With views to sky scrapers lining the Central Park on one side and the majestic Hudson River on the other, Kimpton Ink48 is located in the trendy Hell’s Kitchen neighbourhood. The boutique hotel features energy-efficient lighting and eco-friendly bath products. This luxurious eco hotel is green inside out. Adorned with over twenty thousand plants, the hotel adheres to the 1 Hotel Group’s rigorous sustainability goals. Wood is a constant element in the decor and sixty rooms have a view over Central Park. Awarded for its sustainability, the family-owned Roger Smith dates from 1929, which makes it a true find in Manhattan. The rooms have a homey feel, yet the hotel’s two bars, one in the lobby and another on the roof, blend in perfectly with the surrounding Manhattan glitter. 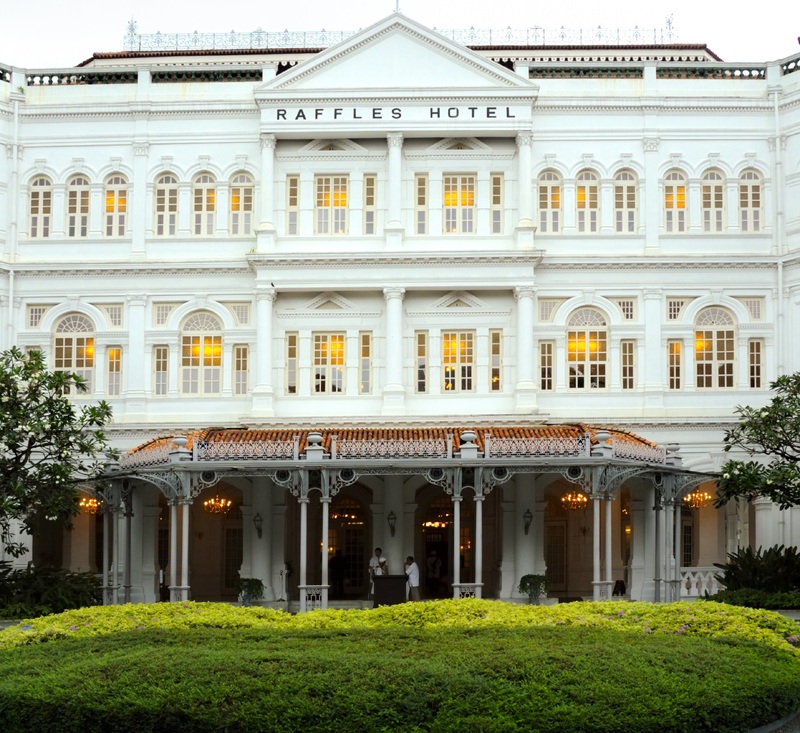 Awarded for its eco-friendliness, The Pierre oozes luxurious old world charm with its white-gloved elevator operators and sumptuous afternoon teas. 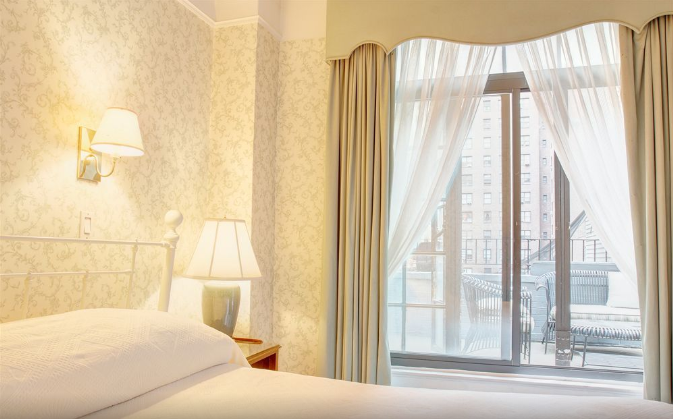 The serene rooms have views over Central Park and Manhattan. Kimpton Muse’s sustainability program includes bicycles for guests and key-cards made with recycled materials. 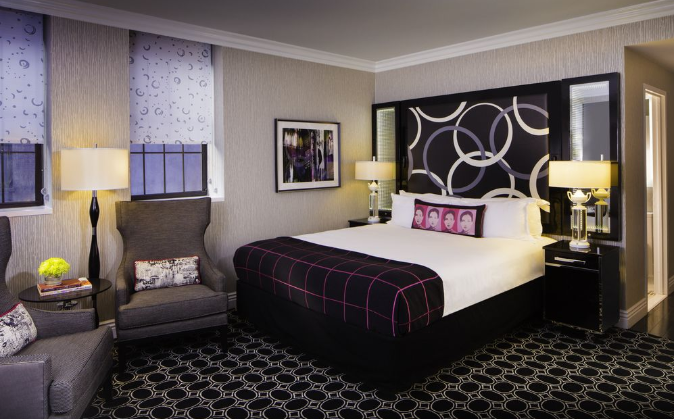 Located in the buzzing Manhattan, Kimpton Muse has a relaxed vibe (and a yoga mat in each room!) for the guests to wind down after sight seeing. 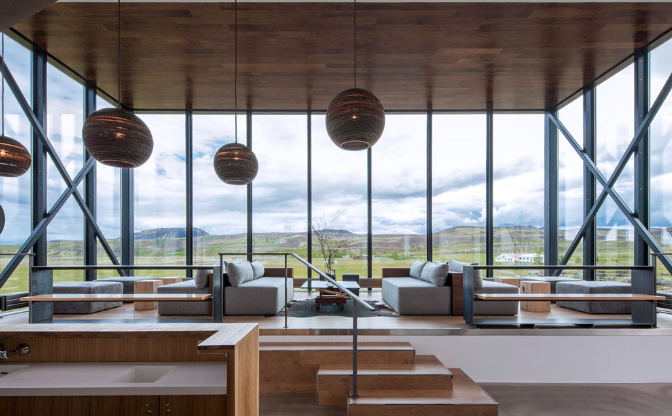 This eco-luxe hotel runs completely on wind power. The hotel uses natural elements in its designs and each room has an organic mattress for a good night’s sleep. Not to mention the hammocks and a pool with a stunning view to Manhattan’s silhouette! 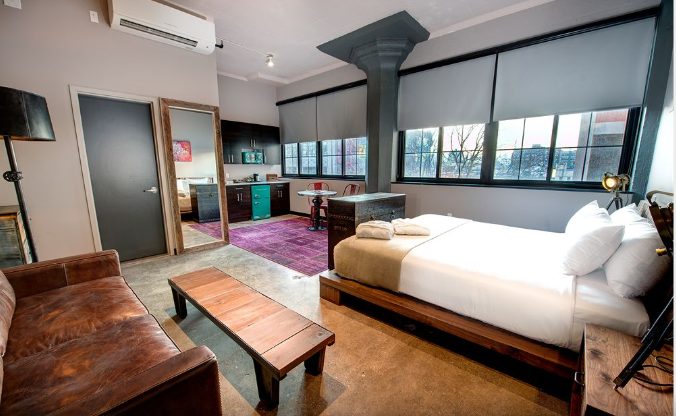 A budget and eco friendly choice, NU Hotel is a loft-inspired boutique hotel in the middle of creative Brooklyn. The hotel is committed to EarthView, donates to charity and recycles its soaps, which makes it an eco-travellers top choice in New York. Only two subway stops away from Manhattan, Paper Factory is an eco and budget conscious choice. The hotel’s luxurious personal care products are vegan and cruelty free. 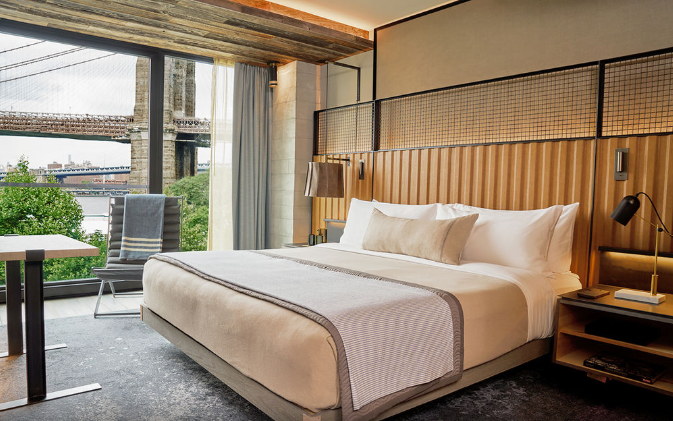 Concrete floor, wooden ceilings and red brick walls create an urban feel to the trendy Queens hotel.